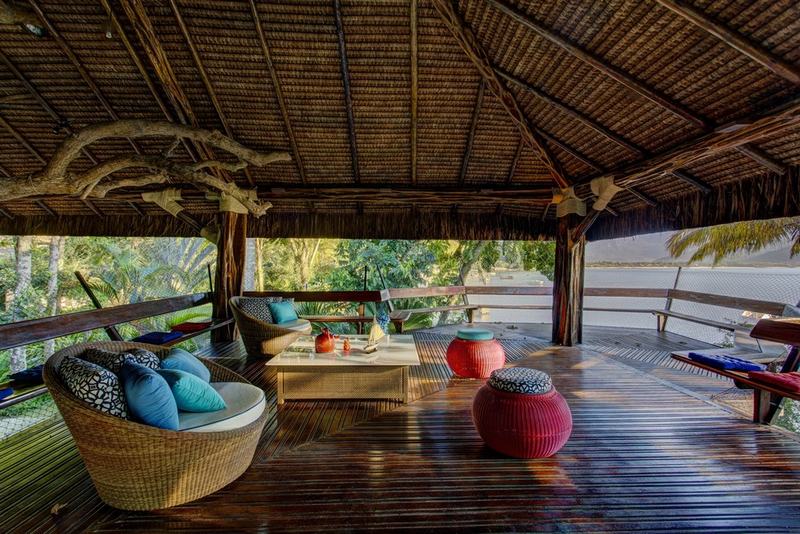 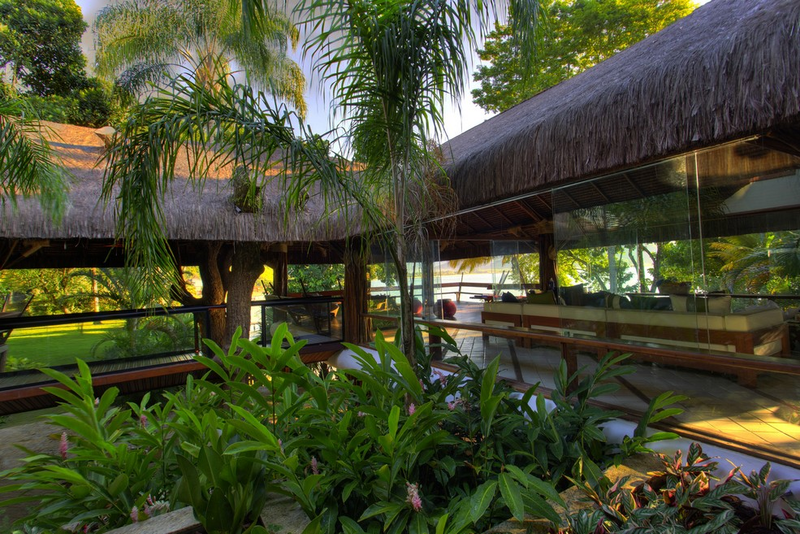 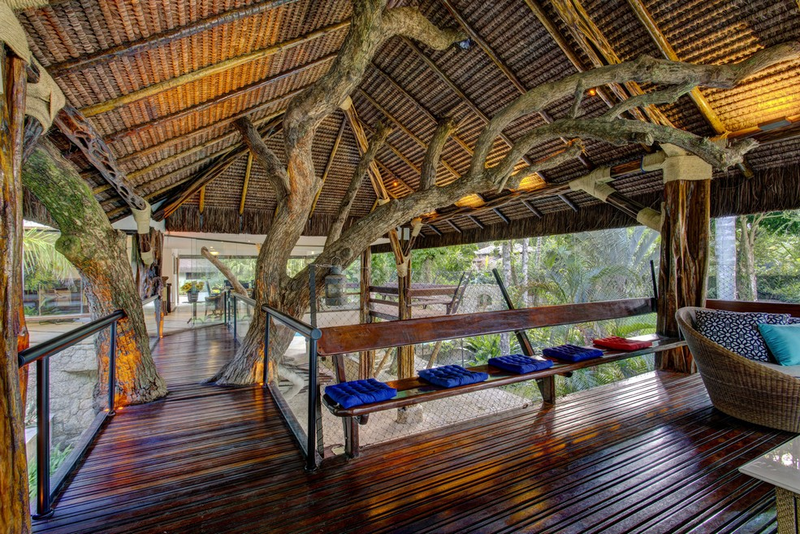 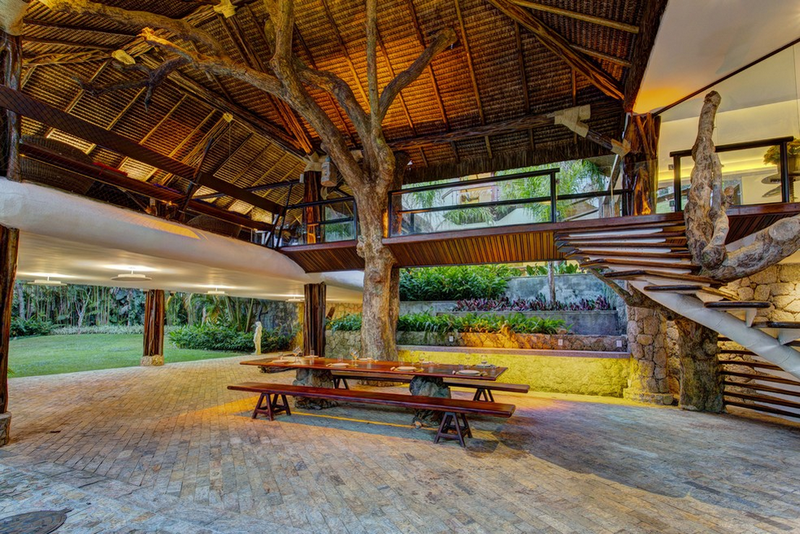 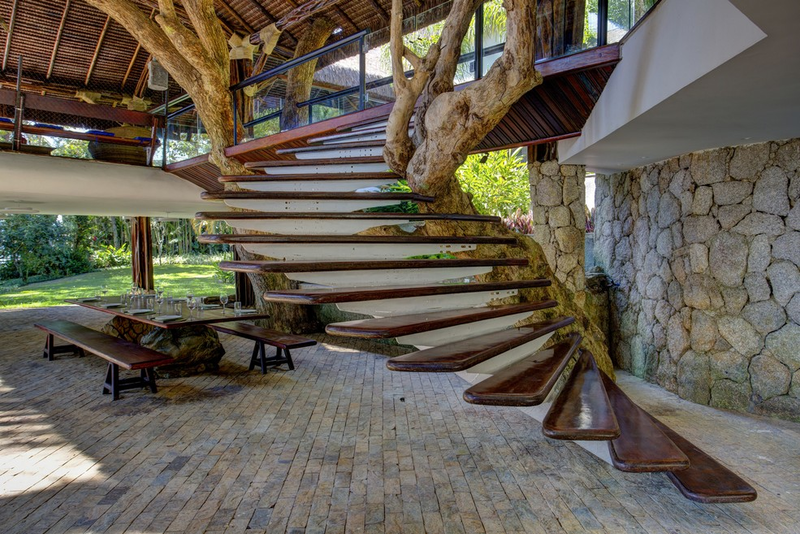 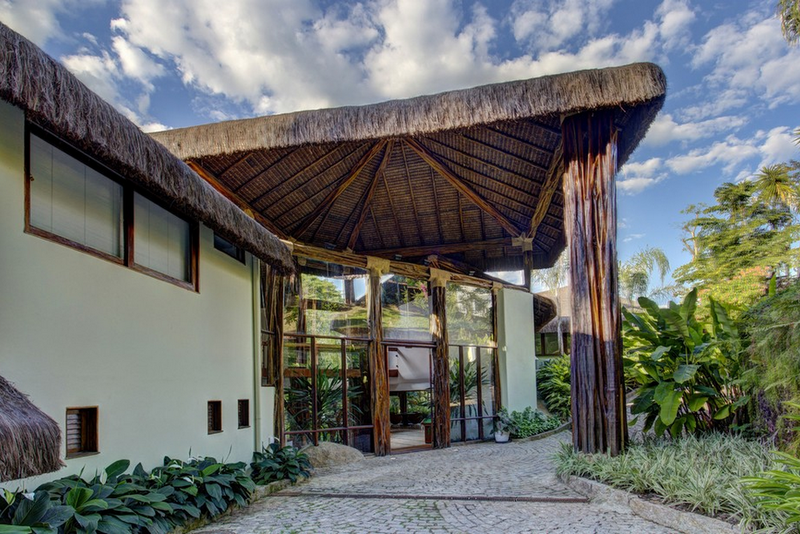 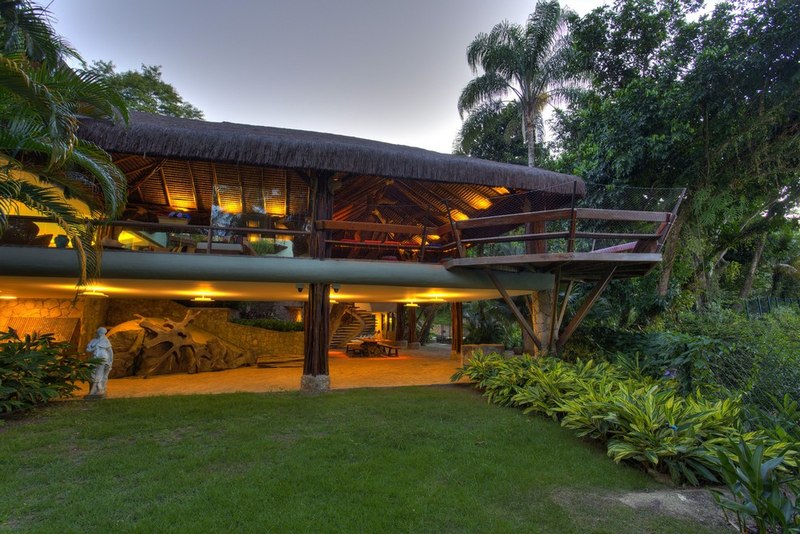 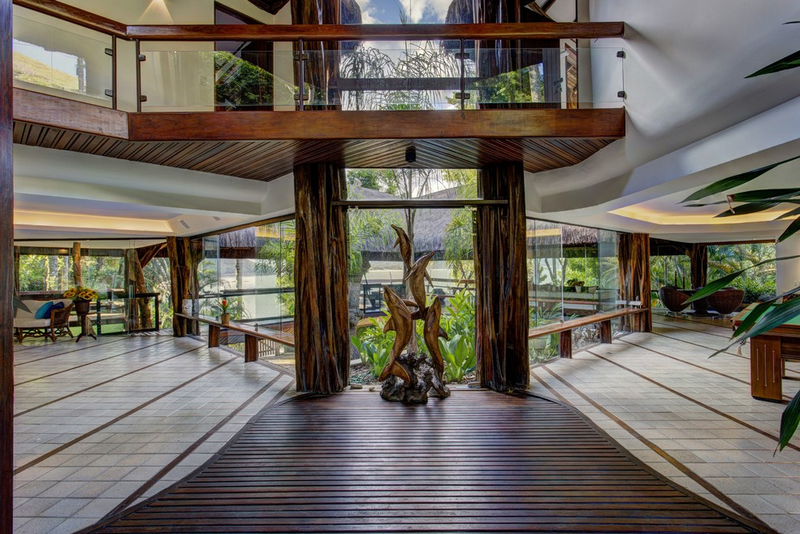 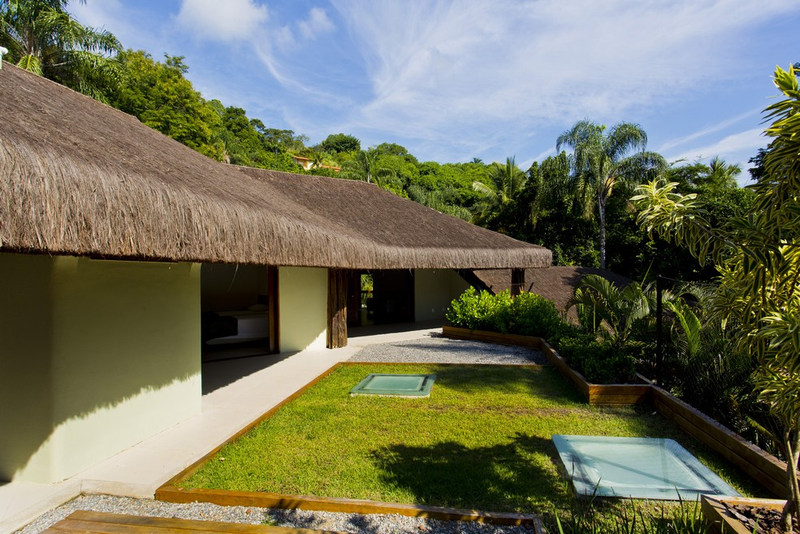 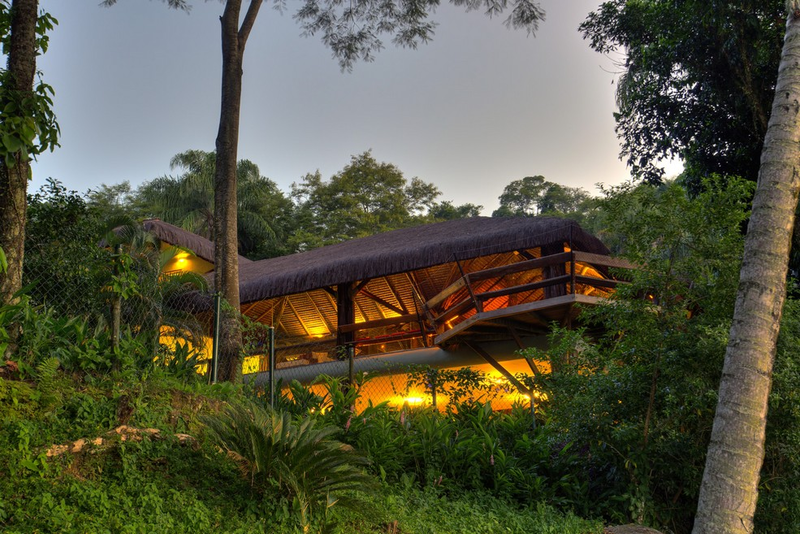 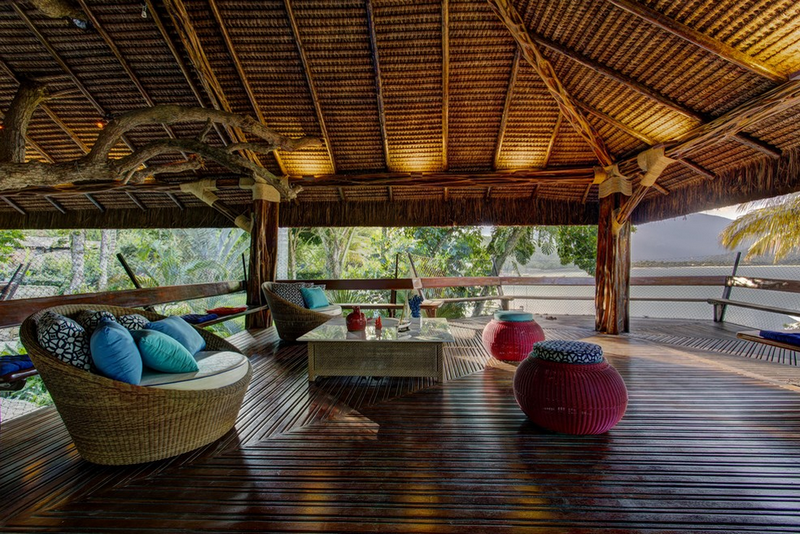 Beautiful and unique beach house, built essentially out of quari-quara wood with thatched roofing and is located on the sea front with a magnificent view over the Bay in Mangaratiba. 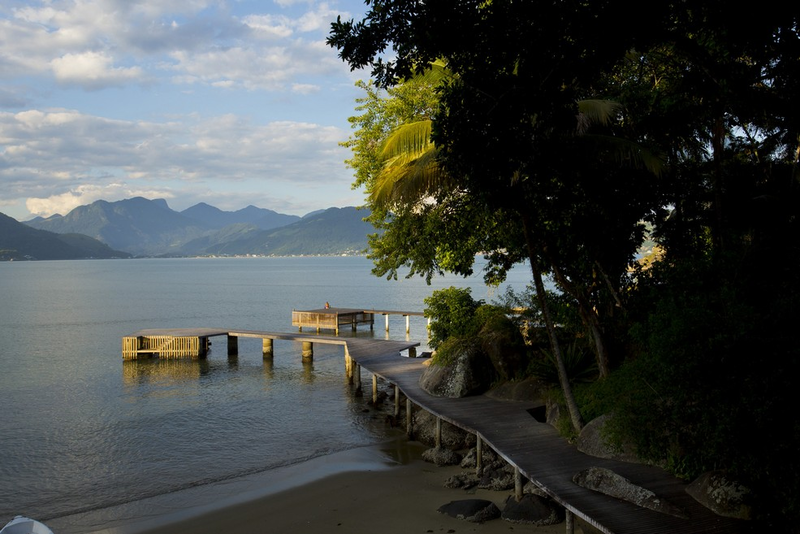 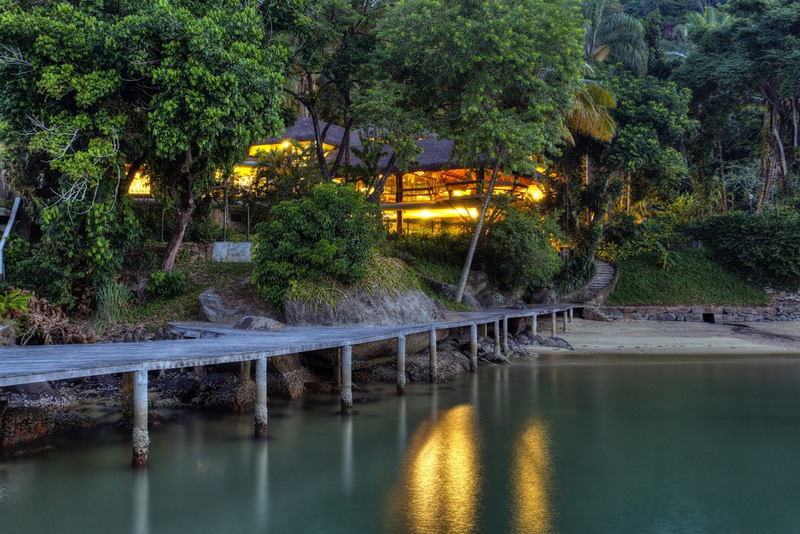 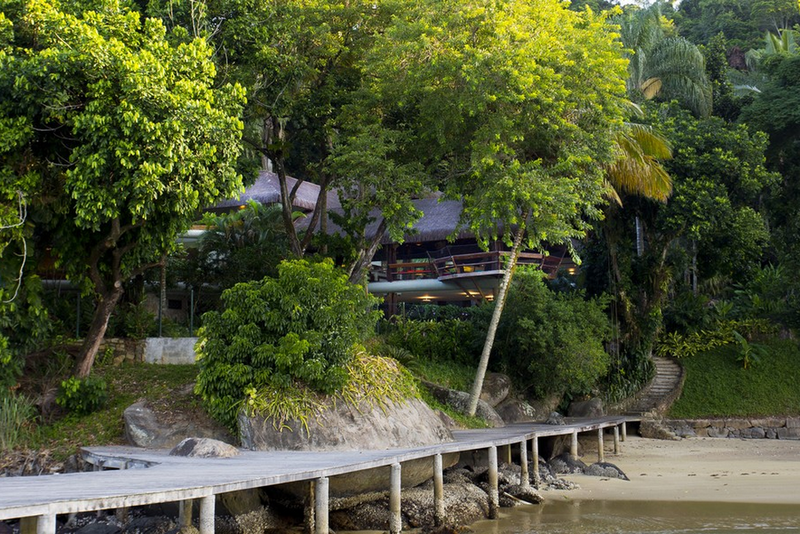 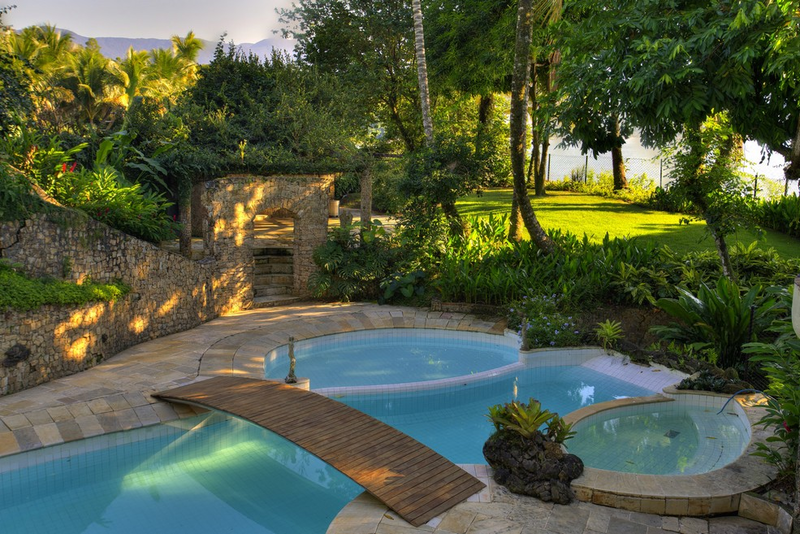 It is in a beautiful location with lush greenery all around and has its own private beach, a jetty and helicopter pad. 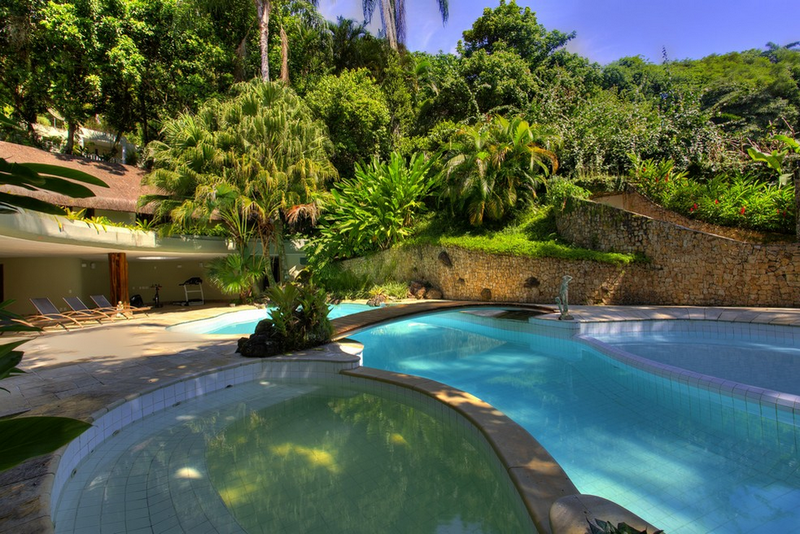 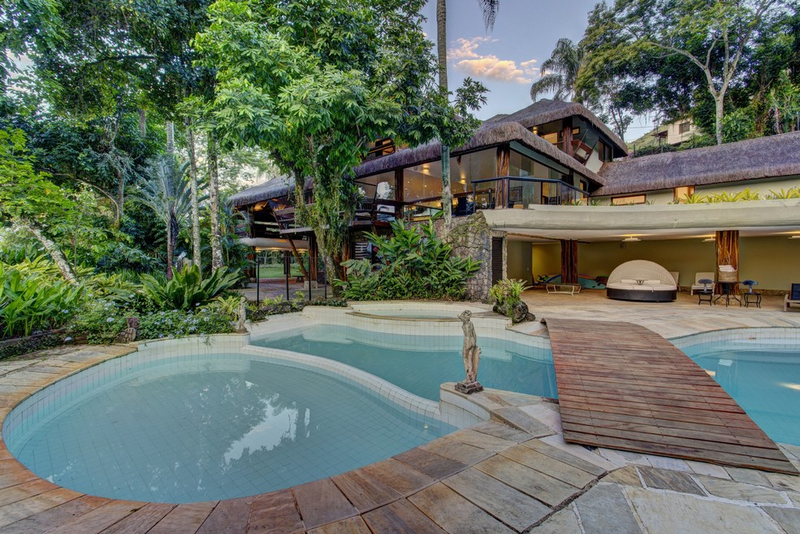 It possesses a magnificent swimming pool and a Jacuzzi. 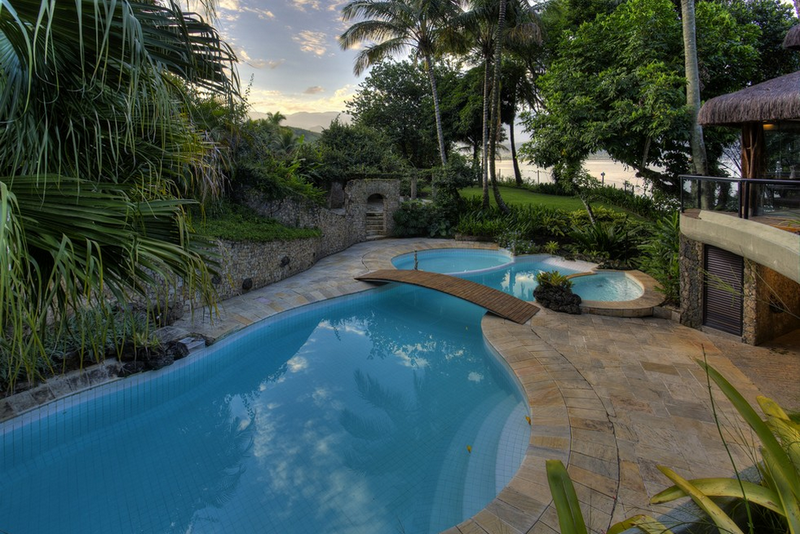 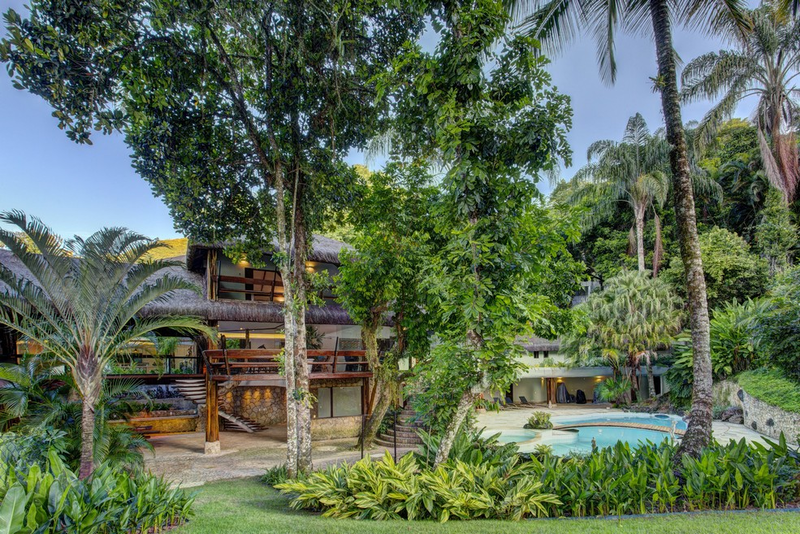 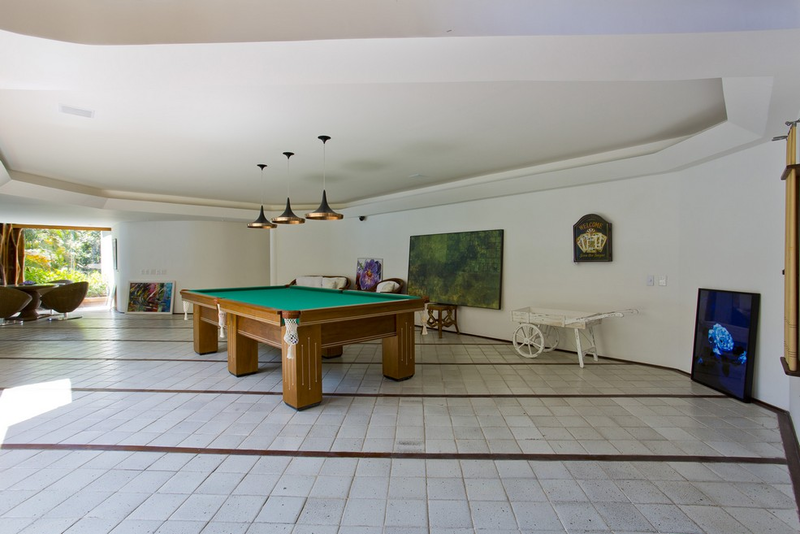 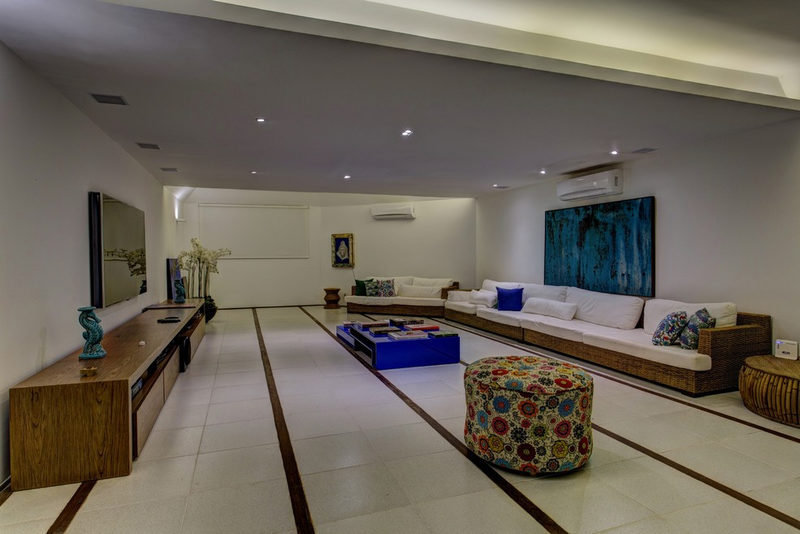 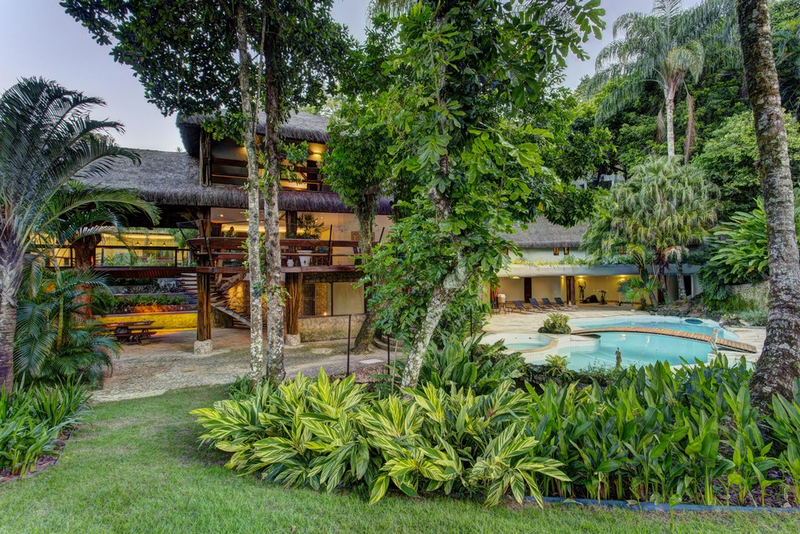 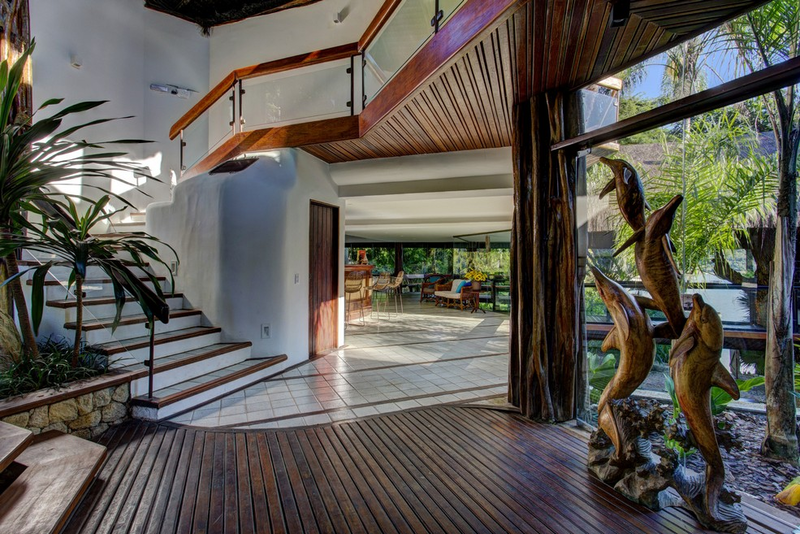 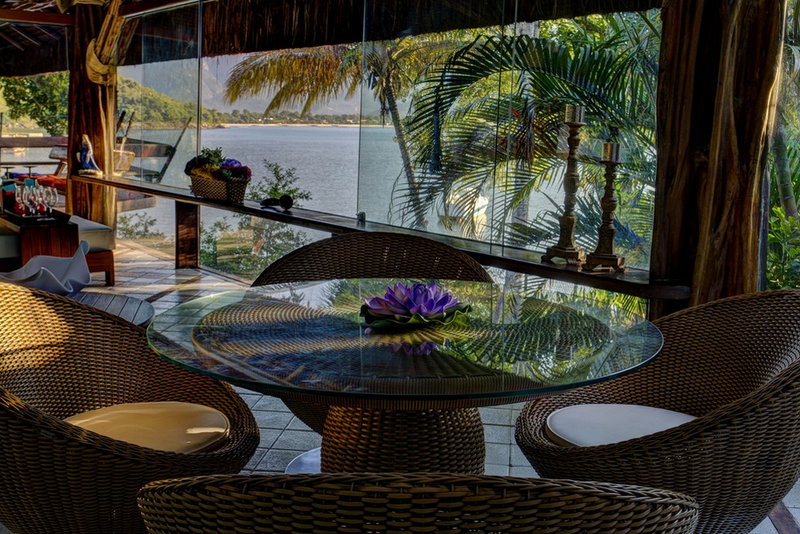 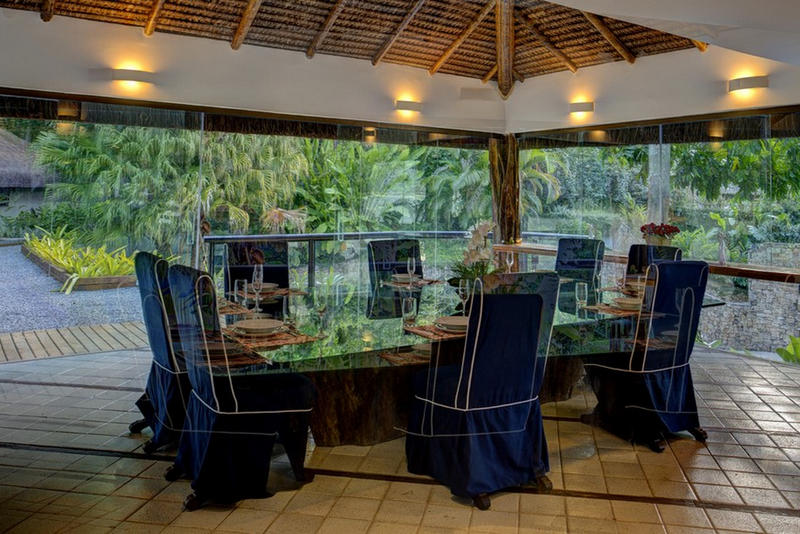 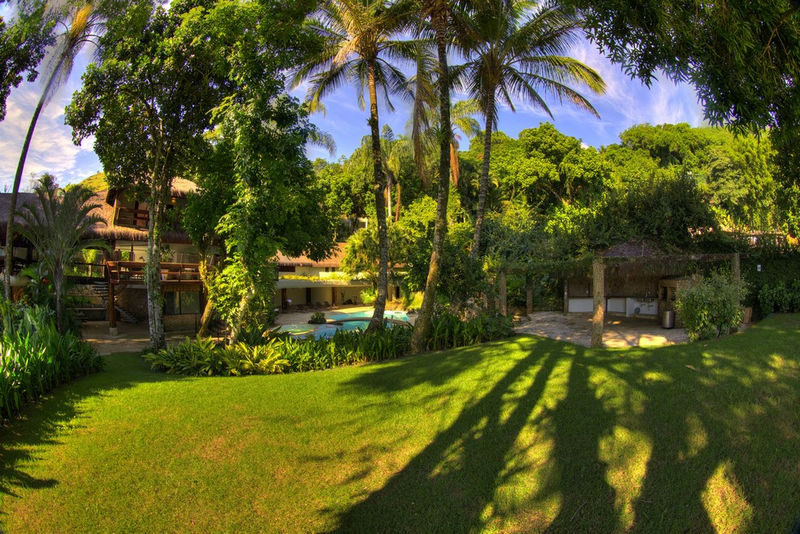 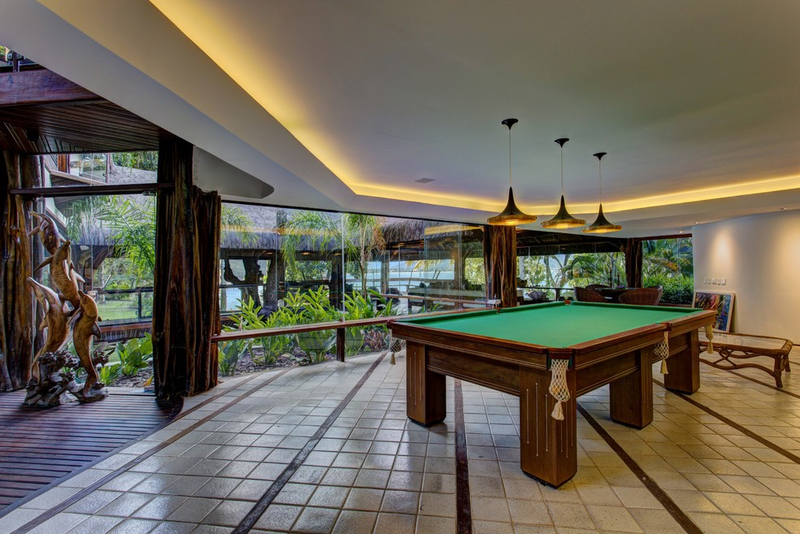 The house is located in the Condominium Itaóca about 120kms from Rio, and has its own private beach with access one minute's walk away to a further stunning beach and views. 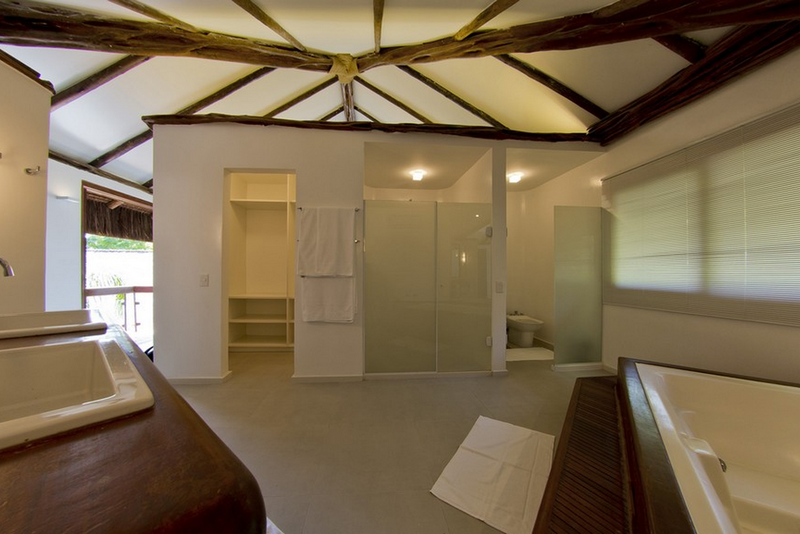 It has the capacity to receive up to 18 guests in 8 suites (comprising of 3 king size beds, 2 double beds and 8 single beds). 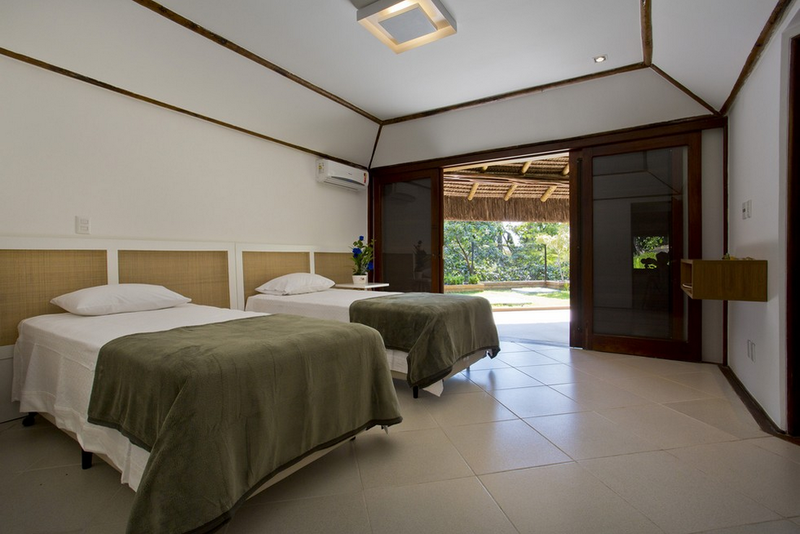 All rooms have their own veranda, with an excellent view to the beach or the garden, with blackout curtains, air conditioning and mosquito screens. 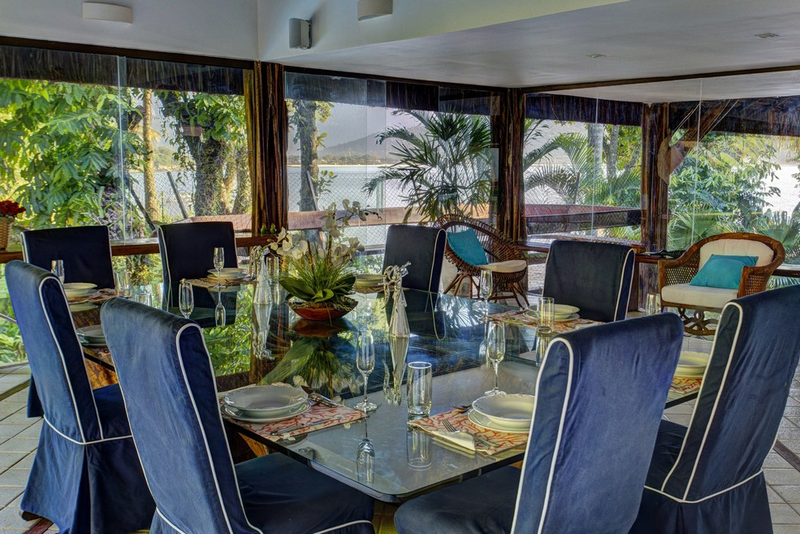 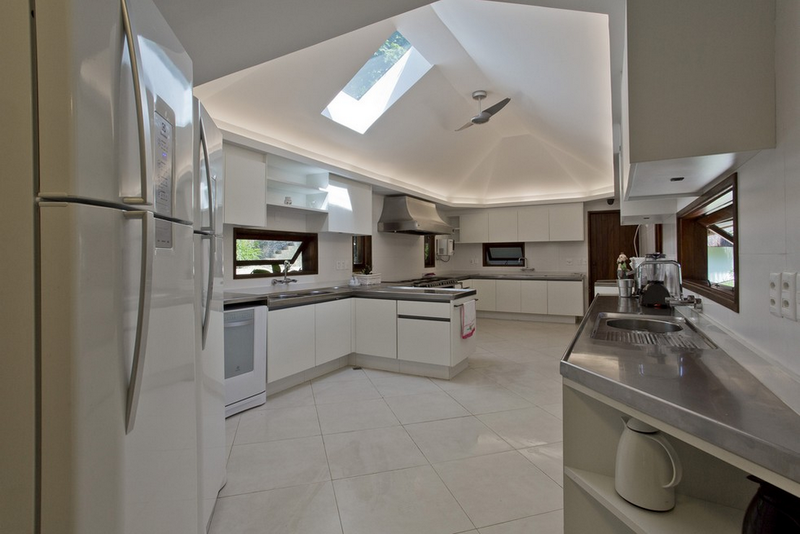 Facilities include tv salon with Sky satellite tv, music system throughout the house, dining room and bar, Wi-Fi, Gym, pool table, boat house, stand-up paddle, powerboat charter access as required, BBQ area, modern kitchen and laundry facilities.